Find a galaxy full of LEGO (R) Star Wars (TM) ideas to build - from activities and art, games and challenges, to practical makes and your very own inventions! 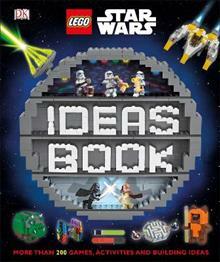 LEGO (R) Star Wars (TM) Ideas Book features imaginative play and building ideas using your own LEGO brick collection, fro... read full description below. Find a galaxy full of LEGO (R) Star Wars (TM) ideas to build - from activities and art, games and challenges, to practical makes and your very own inventions! 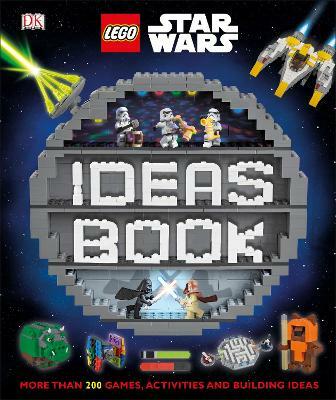 LEGO (R) Star Wars (TM) Ideas Book features imaginative play and building ideas using your own LEGO brick collection, from LEGO projects that take just a few minutes, to builds to keep you occupied for hours. Set up a game of LEGO Star Wars skittles, create a pencil pot shaped like your favourite Sith or Jedi, build a fleet of tiny TIEs, design Darth Vader's family tree, and customise a podracer. Challenge a friend to take on a rathtar, mix up your minifigures, stage your favourite movie battle scene with LEGO Star Wars bricks - and much, much more! LEGO (R) Star Wars (TM) Ideas Book is packed with a family friendly range of activities to inspire every LEGO Star Wars fan. What will you build? (c) 2018 The LEGO Group. (c) & TM 2018 LUCASFILM LTD.